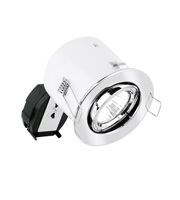 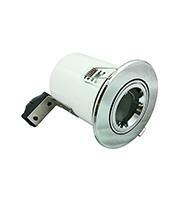 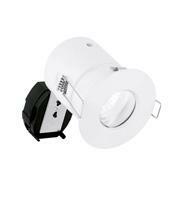 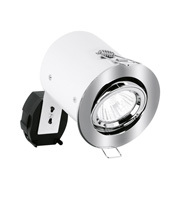 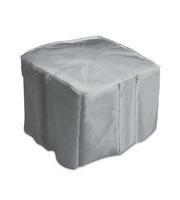 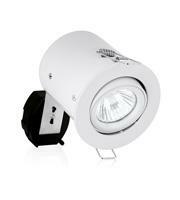 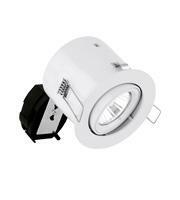 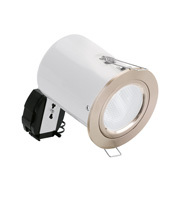 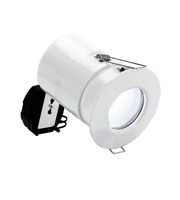 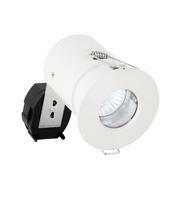 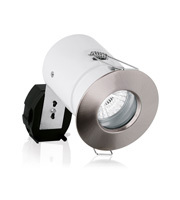 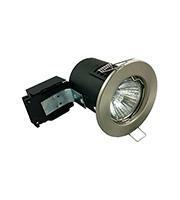 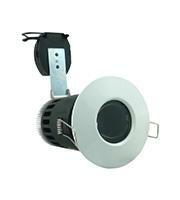 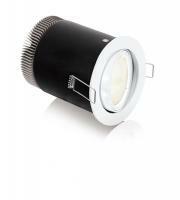 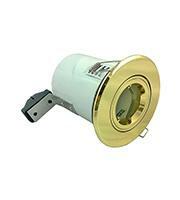 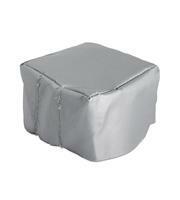 Save on high quality fire rated downlights with Direct Trade Supplies. 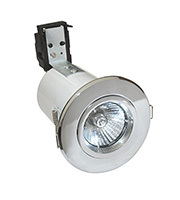 In the unfortunate event that the fire breaks out in your building, you want to be sure that the products within it can withstand flame long enough to help everyone inside to safety. 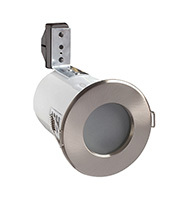 We carry a wide selection of industry-leading fire rated downlights that meet stringent European safety standards to be safe for use in commercial and industrial applications. 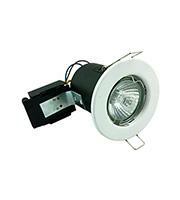 These fire rated downlights meet building regulations, and are typically fire resistant for up to 60 minutes. 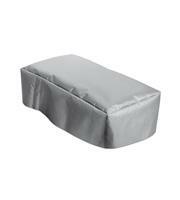 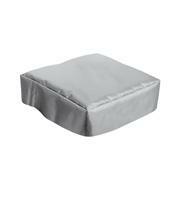 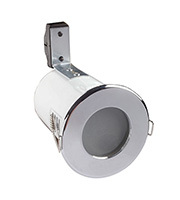 This helps them to protect against the further spreading of any fire in the building in keeping with the fire rating of your building's ceiling. 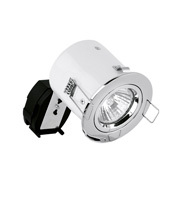 But aside from being a practical safety tool, fire rated downlights are an attractive and efficient way to light your workspace. 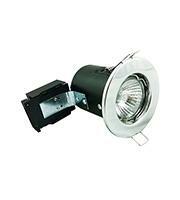 Fire rated downlights are a safe choice not only if you're in buildings that are prone to flame such as those with commercial kitchens or chemicals on the premises, but in any building. 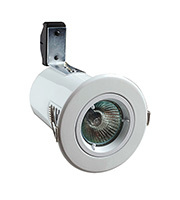 Accidents can happen at any time, and these downlights are fitted closely into the ceiling to mitigate any smoke travelling to the above floors. 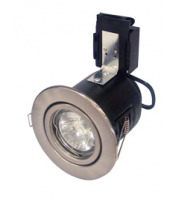 Aside from their safety properties, downlights are a way to achieve attractive spot lighting as well as task lighting throughout your establishment. 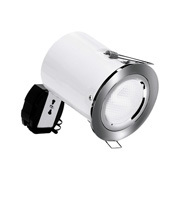 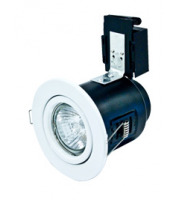 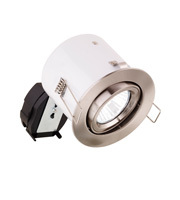 Products such as the Robus Fire Rated Straight Downlight come with an 11W GU10 CFL Lamp, and have an impressive lifespan of over 10,000 hours. 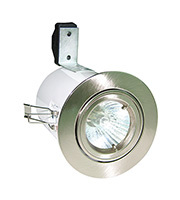 These recessed lights are easily installed, so you can integrate them into your property quickly and easily for maximum effect. 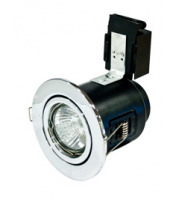 When it comes to saving on fire rated downlights you need look no further, as we have a wide selection at competitive wholesale prices available at Direct Trade Supplies. 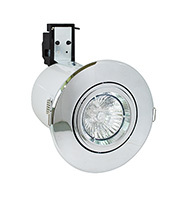 There are additional discounts available when you purchase in bulk, so for safe and attractive lighting, find fire rated downlights for less with Direct Trade Supplies.